Calling all puzzle and pattern lovers! 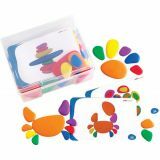 Imagination Patterns features the same popular shapes and puzzles as our original Imagination Magnets set, but adds cheerful checks, snappy stripes and polka dots! 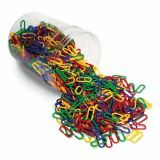 It's time to boost your child's fine motor and visual-thinking skills with this strategic building tool! 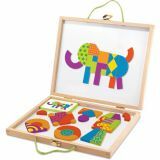 Imagination Patterns features a sturdy wood carrying case with durable hinges and rope handles. 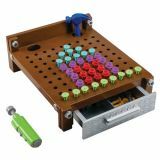 Inside, 42 brightly-colored wooden magnetic blocks can be arranged on the board to replicate any of the 50 full-color puzzles, such as animals, faces, vehicles, flowers, structures and more! Plus, the magnetic creation surface doubles as a dry-erase board. The colorful pattern cards are numbered in order of difficulty, ranging from beginner to expert. As each pattern becomes more challenging, patience and confidence is gained through trial and error. Once recreating the patterns has been mastered, creativity takes over through free play. 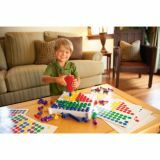 Imagination Patterns inspires hours of continuous play and will quickly become a household favorite! 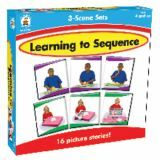 Children will eagerly assemble the pieces of Learning to Sequence: 3-Scene to determine what happens next in 16 picture stories. For added fun, have children narrate the story from each scene. Each set includes 48 photographic cards plus game directions in English, Spanish, and French. It is perfect for ages 4 and up. 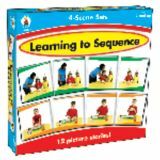 Perfect for practicing sequencing skills, Learning to Sequence: 4-Scene will be an invaluable resource in your early childhood classroom. Children will eagerly assemble the pieces of 12 picture stories to determine what happens next! For added fun, have children narrate the story from each scene. Each set includes 48 photographic cards plus game directions in English, Spanish, and French. It is perfect for ages 4 and up. Practice sequencing skills while having fun at the same time! 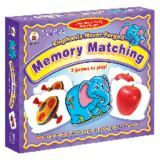 Children will eagerly assemble the pieces of 8 picture stories to determine what happens next! For added fun, have children narrate the story from each scene. 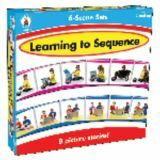 Perfect for ages 4 and up, Learning to Sequence: 6-Scene includes 48 photographic cards plus game directions in English, Spanish, and French. 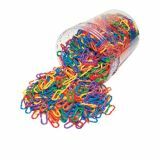 Set includes 4 pattern boards (each measuring 4-1/2" x 4-1/2"), 60 stretch bands, and 16 pattern cards. 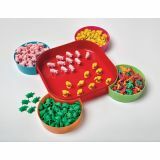 Promotes critical thinking, the development of fine motor skills, creativity, and independent and group play.